TRY team in "We Run Vilnius"
On the 4th of July our team participated in the annual running marathon in Vilnius. The first sunday of July had a special occasion for the TRY team as we celebrate the 30th year of Erasmus + program. In order to mark it properly we decided to participate in an annual running festival in Vilnius. Our runners didn't win gold medals but all of them finished the marathon together. 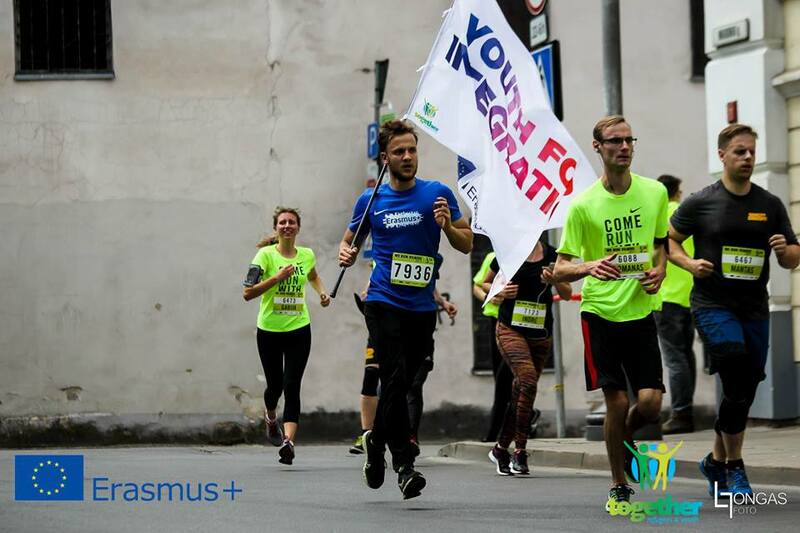 While running the "Youth for integration" flag was held, representing diversity and solidarity which are one of the main values of our organisation.